The bridge of Katogefyro is located under the village of Oraiokastro in Pogoni. 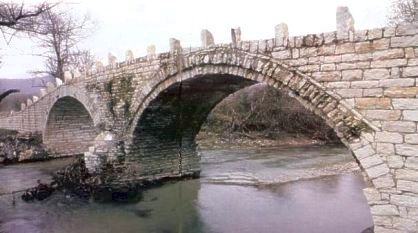 It is a small stone bridge that has two unequal arches that bridge the banks of Gormos river. Its constuction dates back to 1889 and is preserved at an excellent situation until today.